Click the link below each Event for the official flyer with Event details. The New City Rotary Food & Wine Festival was featured on Fios1 News. Click here to see the video and Kevin Hardy, New City Rotary President! The Rotary Club of New City is partnering with Operation Warm to provide high-quality, new winter coats to needy elementary school aged children. The gift of these coats not only provides warmth in our cold winters, they allow children to regularly attend school and help enhance their self-esteem. 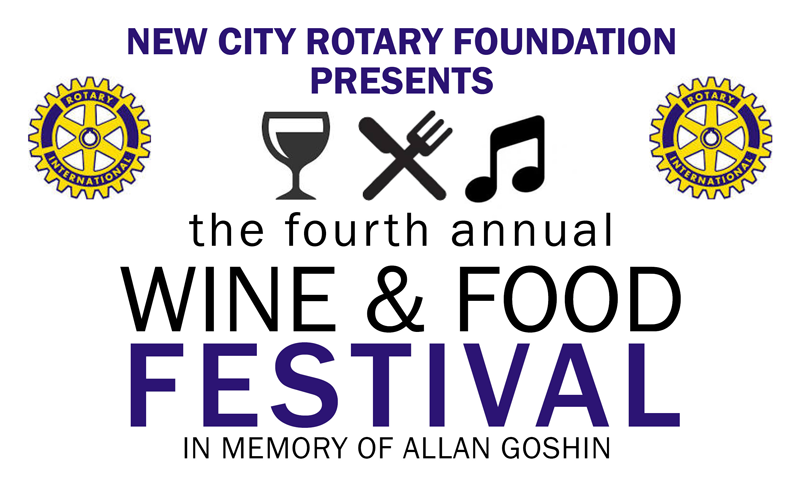 Thank you for making the second annual New City Rotary Wine & Food Festival a success! We raised money and awareness to help fight hunger in Rockland County and had a great time doing it! We appreciate all those who attended and donated goods and services to the Festival. Visit the Festival website to see photographs of the event. Be sure to check out both batches! Fighting hunger is not an event, it's an ongoing process! You can still support New City Rotary in helping those less fortunate by donating on the website. ClubRunner makes it easy to publish our eBulletin, and send to all club members and friends. Welcome to our New City Rotary Website! If you do not have a Login ID and Password or forgot it, "Click Here"! Enter the required information and your Login ID and Password will be emailed to you. We are all pleased to see how ClubRunner has revolutionized the way we manage our day to day club activities, as well as allowed us to communicate more effectively.